Ever wondered what it would be like to live aboard a beautiful sailboat? Well now is your time to find out! 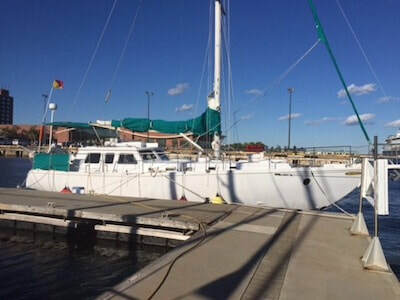 The operator would love to welcome you aboard the fully equipped 50-foot SV Dolly Bird for a private stay in her berth at Charlottetown Yacht Club. Enjoy relaxing on the spacious top deck, watch the sun rise or set, watch a boat race, read or just relax. Cook your own meals aboard. On rainy days, relax in the spacious salon. Fall asleep in the stateroom's cozy double bed listening to the soothing sound of rippling water. Walking distance to theatre, shopping, restaurants, and so much more. Visit their airbnb page at https://www.airbnb.ca/rooms/17038927.